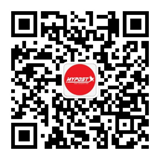 MYPOST insurance is backed up by one of the biggest insurance company in Malaysia, contact our insurance officer through WeChat (mypostonline05). MYPOST is working with AXA AFFIN, one of the biggest insurance company in Malaysia. ** Please ensure your consignment is packaged safely and does not show any of the contents on the packages. NOTE: We do not accept items that are fragile in nature. Kindly contact us to know if your item is insurable.